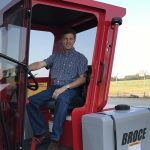 Broce Manufacturing Company, Inc., the world leader in the mid-mount self-propelled broom industry, is now offering a Tier 4 Final Cummins engine in the RCT350 Broce Broom. 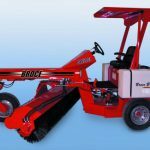 Broce is the first mid-mount broom manufacturer to provide the industry with a Tier 4 Final engine option. The Cummins QSF2.8 is a turbo charged 74 HP engine that will provide excellent performance. The DOC after treatment system requires no maintenance, regen, or wiring. In addition, global support will be provided by the Cummins service network. For more than 50 years, Broce has provided the industry with high quality products, excellent customer service, and competitive pricing. This commitment to excellence will continue with the RCT350.